Discover the magics of scuba diving and try a diving course in Phuket. Easy and fun, this program is your first dive experience. No previous skill needed, we bring you with safety underwater for your first breath and feel the joy of scuba diving. Our Scuba Diving experience is a full-day charter with two shallow introductory dives (max 12 meters) at Racha Yai Island. No classroom quizzes or studying is required. All you need to know will be briefed to you on the boat before you enter the water. Also, all the rental gear you need is included in the price! 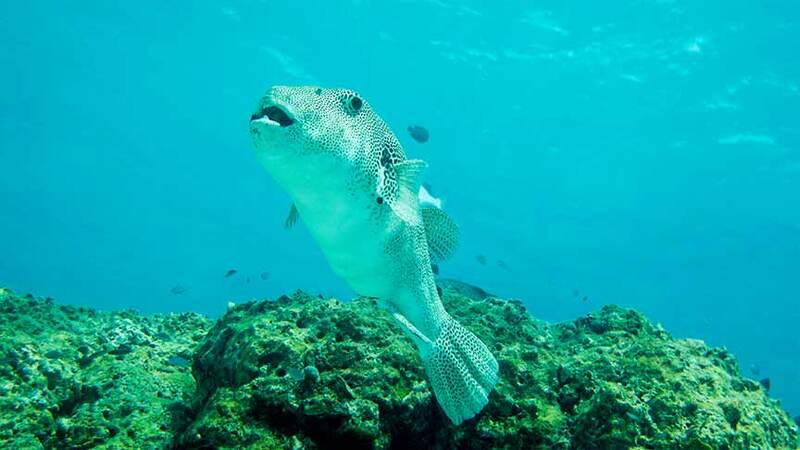 Try Scuba Diving in Phuket is designed to allow anybody to experience scuba diving for the very first time. In the warm and clear waters of the Andaman Sea, under the direct guidance of our certified Instructor. You'll have the chance to experience the thrill diving in a unique world full of marine life and corals, with no gravity and easily breath underwater! Discover the magics of scuba diving and try a Scuba Diving experience in Phuket. Easy and fun, this program can be your first! Any person with good health and little swimming skills (you don't have to be a good swimmer). Includes 2 Dives Transfer from Patong, Karon, Kata, Rawai, Chalong Light Breakfast, Lunch, Water, tea and coffee Diving Equipment, Insurance, private instructor. Includes 3 Dives, Transfer from Patong, Karon, Kata, Rawai, Light breakfast, Lunch, Water, tea and coffee Diving Equipment, Insurance, private instructor. Why Start With a Scuba Diving Experience? You want to try scuba diving in Phuket, and not ready to enroll a full scuba diving course. This program is for you! You will give it a try directly and have the opportunity to feel what is Scuba diving. Sign up for a great day out on a beautiful island with a qualified instructor. After this first diving experience, you can decide to obtain a diving certification. During your scuba diving day you will have your first experience underwater and practice some skills to gain enough confidence and fully enjoy your dive. Our Scuba Diving Experience program in Phuket is for people who have a limited amount of time and want to maximize their Thailand holiday vacation. 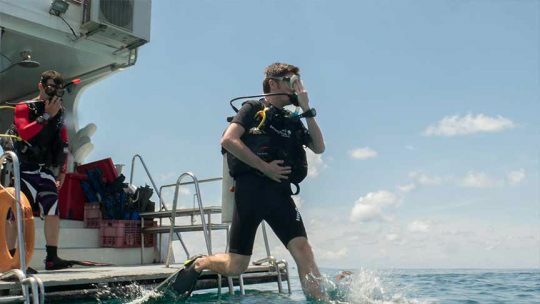 If you fall in love with scuba diving in Phuket, the skills and experience you gain can be applied toward the Open Water Diver scuba certification, also offered by Amazing Phuket Adventures Scuba Diving Center in Phuket. This diving experience is designed to allow people to try scuba diving and to see if becoming a certified scuba diver (valid worldwide) is their next step in a whole new adventure. This scuba diving program easily and safely introduces people into the Phuket open water sea conditions. As the boat leaves the Pier, heading for the first dive site at Racha Islands, your certified Instructor will cover the basic principles and skills that first-time divers require knowing to enjoy their underwater venture safely. All beginners will dive in small groups of no more than two divers per Instructor, at one of our marvelous scuba diving sites here in Phuket. This scuba diving program is a natural first step to a Phuket certification, open water diver course. Those who have achieved this Scuba Diving experience earn credits toward the Open Water Certification. 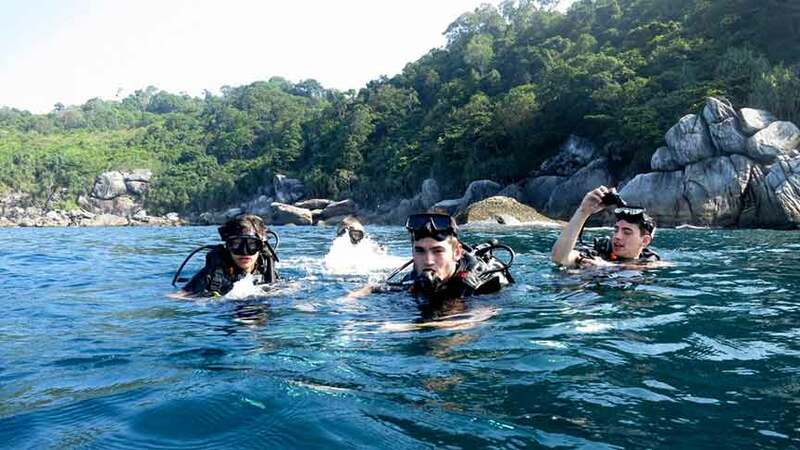 That's possible because the Open Water first dive is the same as the Phuket Scuba Diving skills initiation and development session; furthermore, this diving program equals the first Dive of the Open Water course and can be credited to it to continue your dive education. The mission of Amazing Phuket Adventures is to assist both divers and non-divers during their diving experience here in Phuket, in the safest and most thrilling way possible, with terrific and impressive coaching as well as equipment hire! DIVING DOC: MASSAGE AFTER SCUBA DIVING — IS IT SAFE? 35/18 Moo1, T.Rawai A.Muang, Phuket, Thailand. Copyright © 2017 APA. All rights reserved. Email: [email protected] et commencez votre aventure sous-marine avec nous! Email: [email protected] and start your scuba diving adventure with us!